Hiyaoroshi (sometimes used interchangeably with the term, akiagari) is a general term referring to sake that has been pasteurized once in the winter and then allowed to mature over the summer before distribution in the autumn months. Hiyaoroshi, it’s important to note, is not a strictly regulated definition. Many hiyaoroshi on the shelves nowadays have not undergone pasteurization, and are merely defined by the general period the sake has been left to mature and its autumn release. Hiyaoroshi’s summer maturing process allows flavorful components to further coalesce and get to know each other, resulting in a bottle with boosted umami, and a balanced, less hard-edged profile. 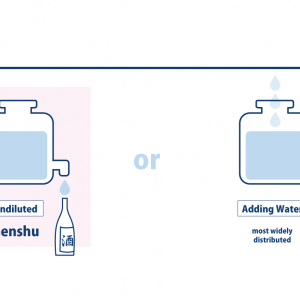 While a majority of the sake commonly available on the market has undergone pasteurization twice – once before storage, and again before distribution, hiyaoroshi sake is generally pasteurized only once, prior to a stint in the storage cellar. 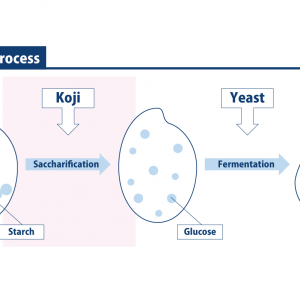 That first pasteurization is to preserve the integral quality of the sake while it waits in storage, but brewers crafting hiyaoroshi skip the second pasteurization – as with namazume – to preserve the delicately balanced flavors and aromas achieved in the summer aging process. 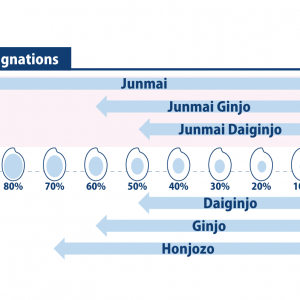 The Japan Sake and Shochu Brewers Association designates September 9 as the official first day of the year’s hiyaoroshi sales season. Of course, since the hiyaoroshi label is not a strictly regulated one, it’s not uncommon to see stores peddling the autumn specialty as early as late August. September 9 is also known Japanwide as the Chrysanthemum Festival, when sake infused with chrysanthemum is traditionally drunk for its purported health benefits. Nowadays, dining establishments will simply float edible chrysanthemum in a glass of sake as something symbolic of this seasonal tradition. Between this flowery sake and the limited nature of hiyaoroshi, we have a few clear indicators for sake buffs that autumn has truly arrived. 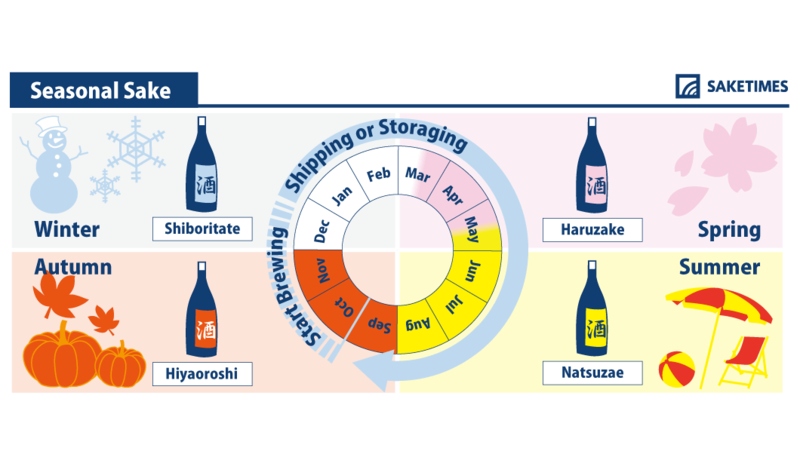 Free Sake Infographics: Feel free to download and use them freely from here to help you learn more about sake!